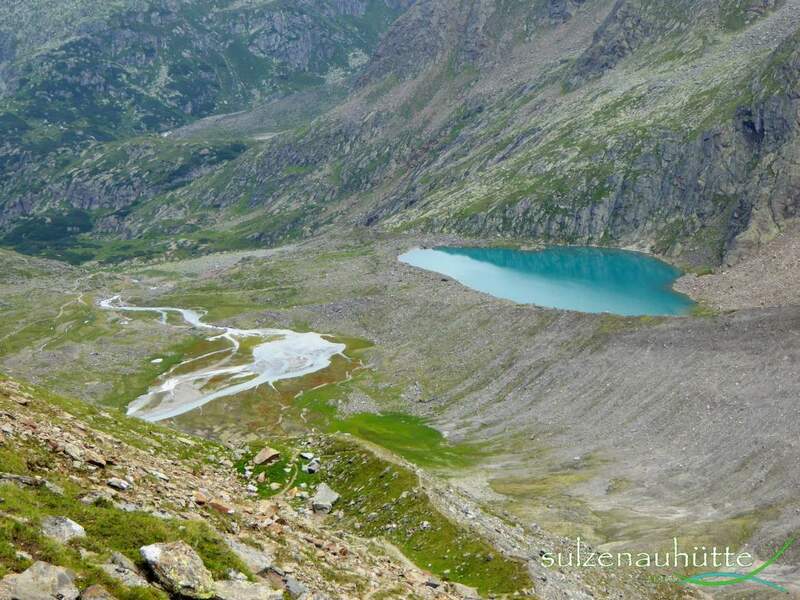 To the Blue Lake (Blaue Lacke) we leave Sulzenau hut in a south-westerly direction, towards Sulzenau glacier. 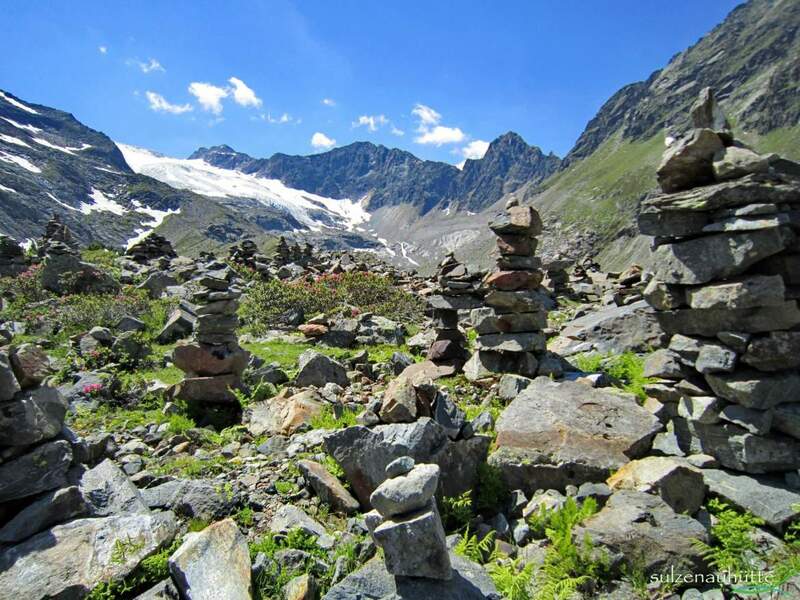 At the first fork in the trail, we walk past the sign directing us towards the Trögler. 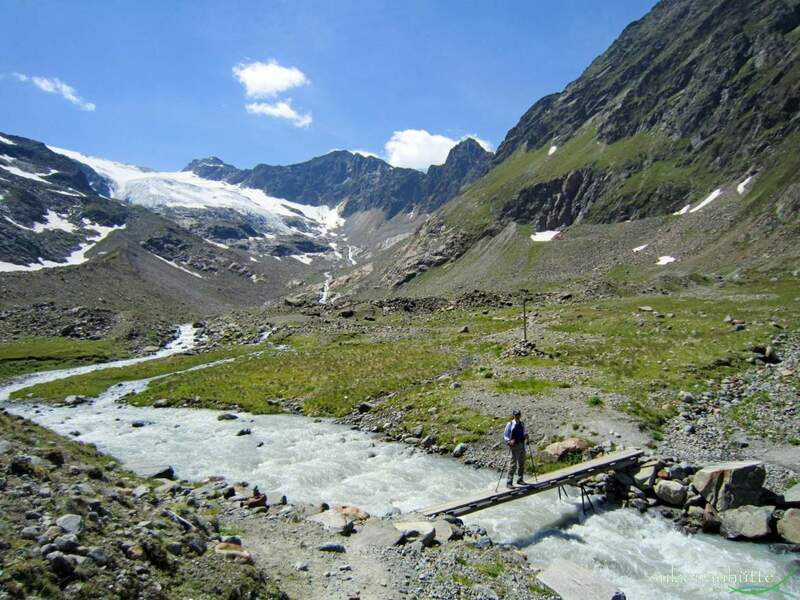 At the next fork, we follow the sign ‘Blaue Lacke’ and cross over the river via a bridge. 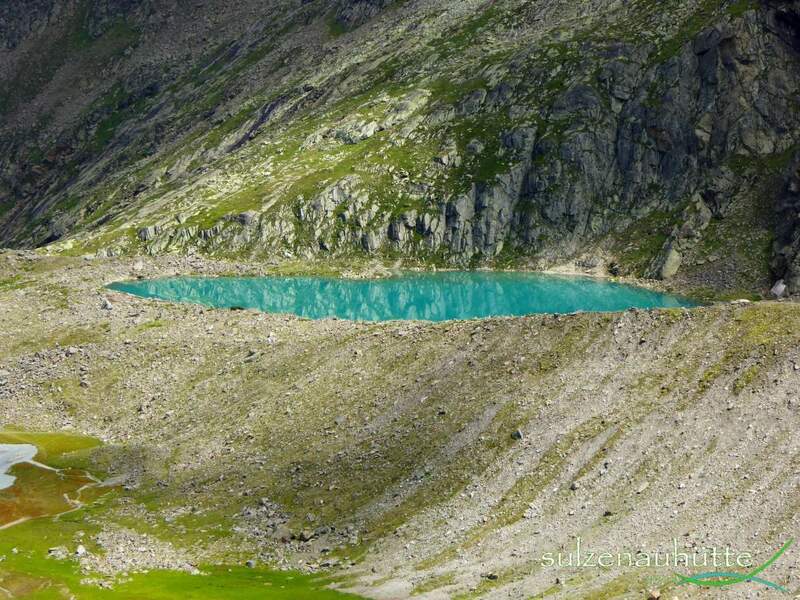 After a light ascent through the ‘Almrosen’ flowers, we reach the Blue Lake. 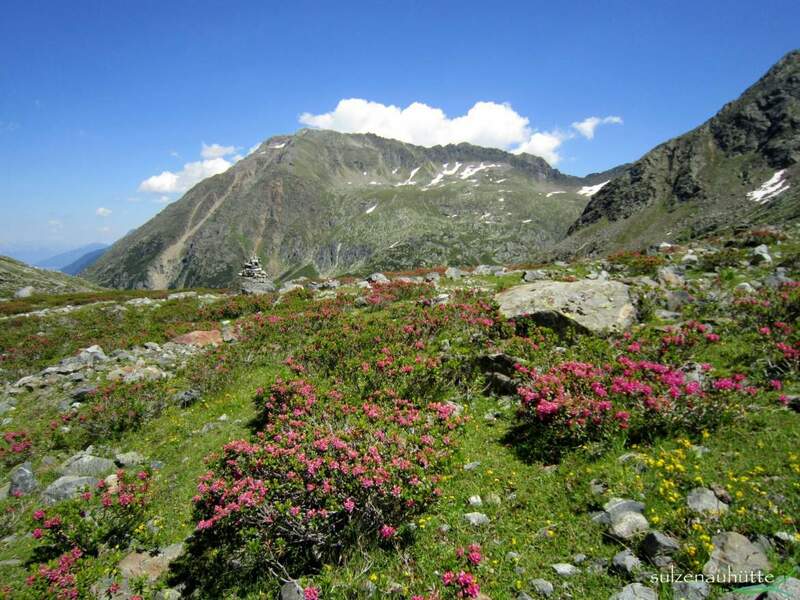 A beautiful relaxing walk, good for families with small children. 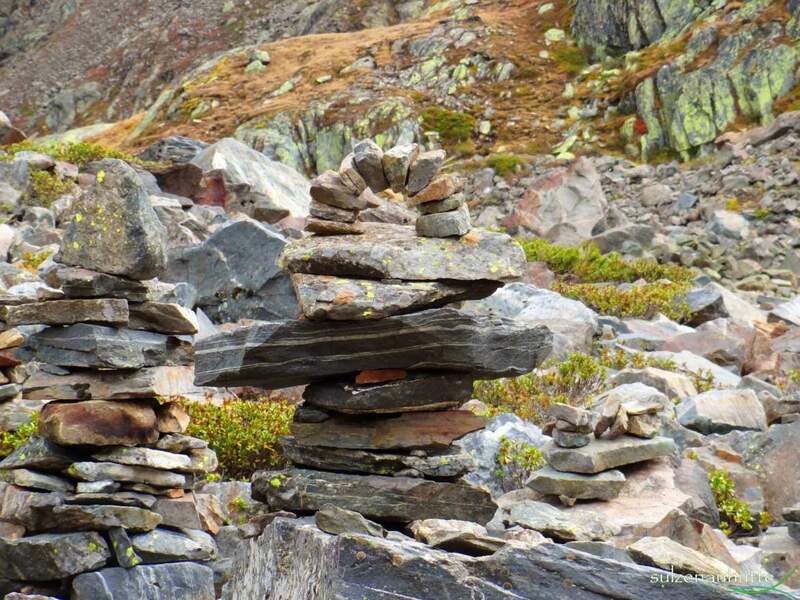 The perfect length to kill some time or work up a hunger before enjoying lunch back at the hut. 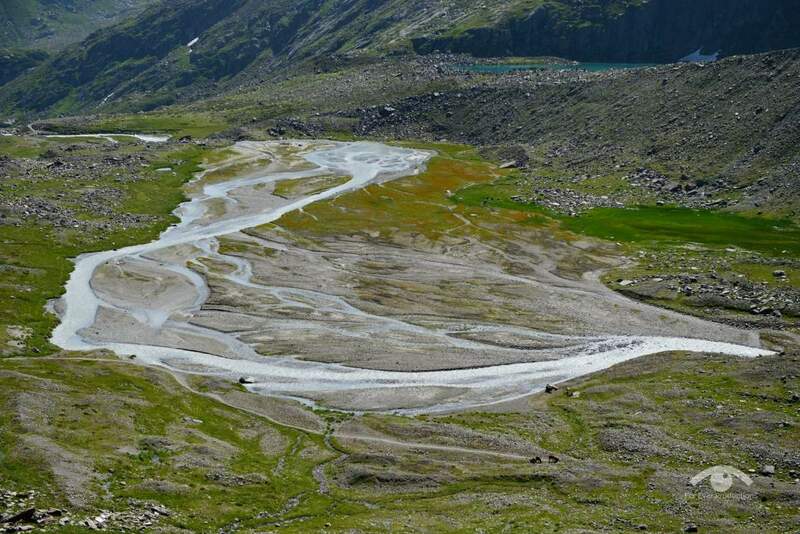 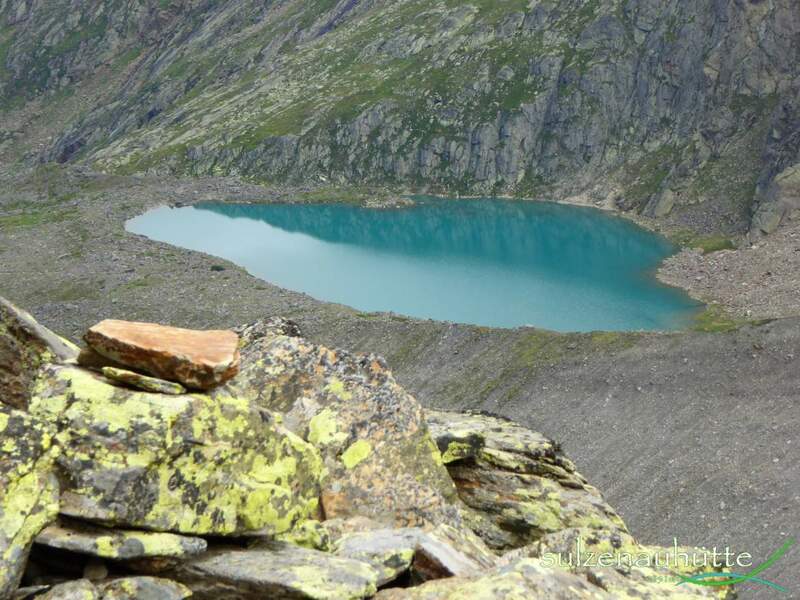 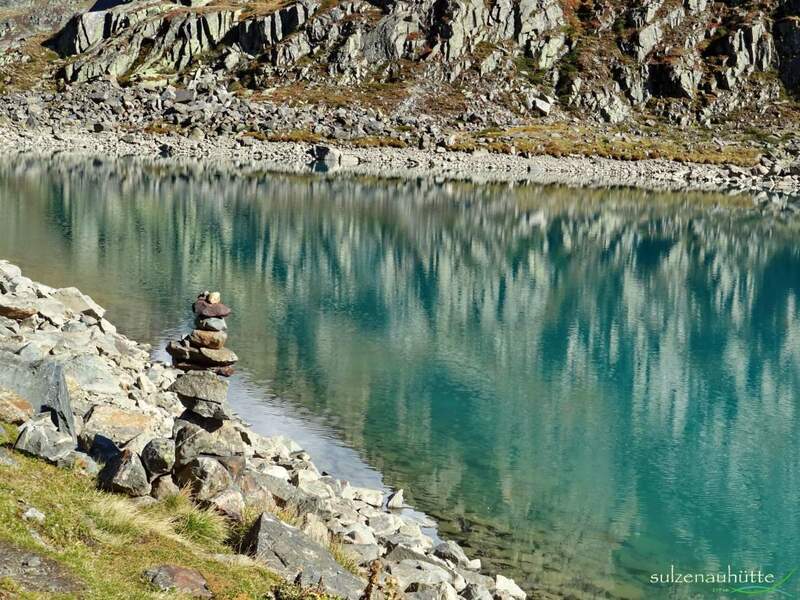 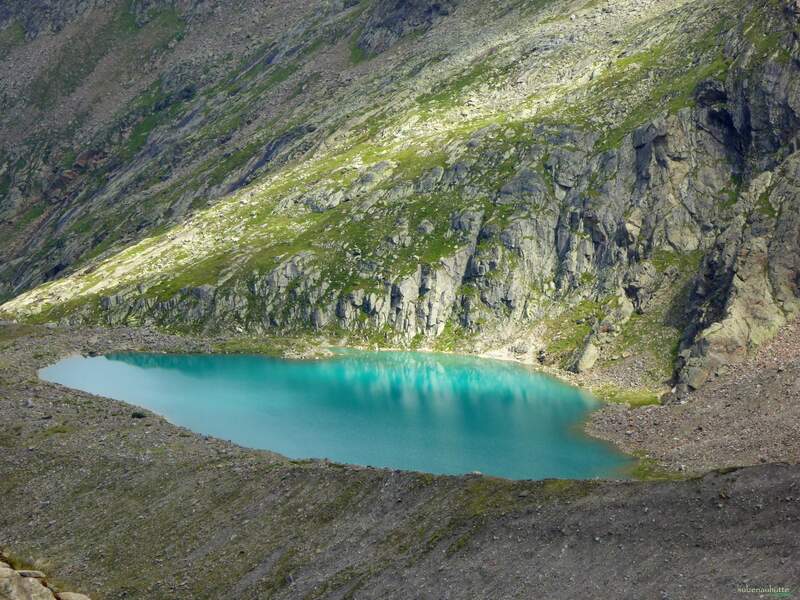 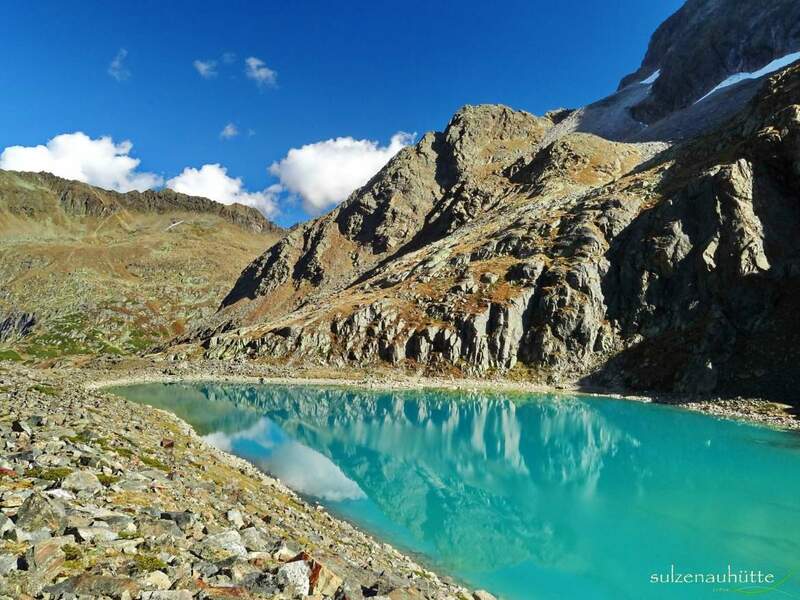 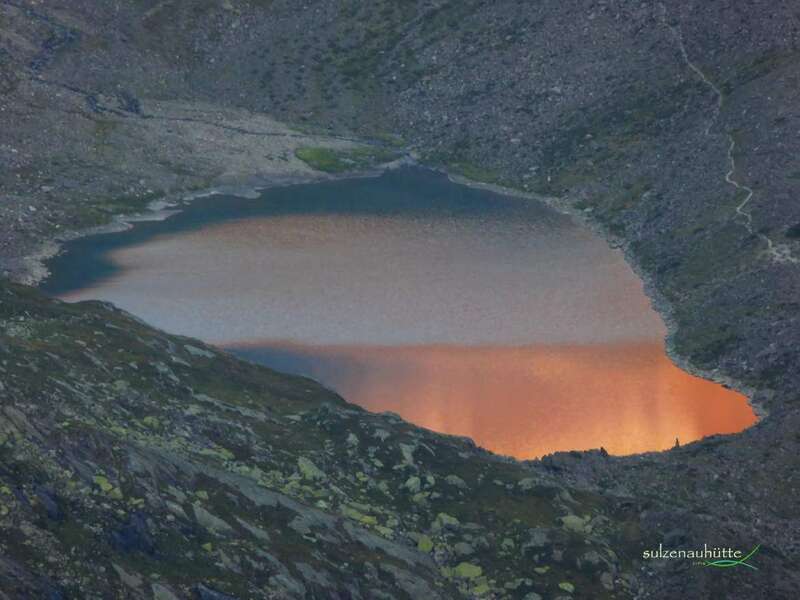 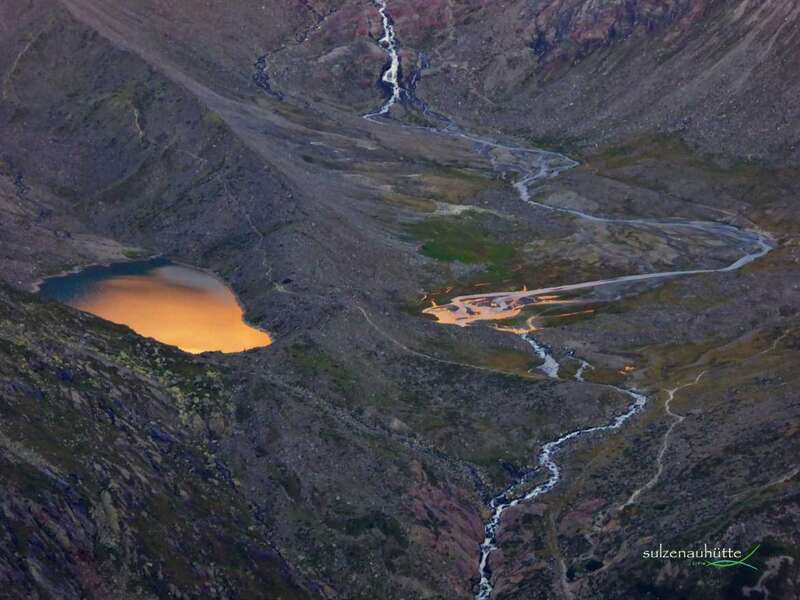 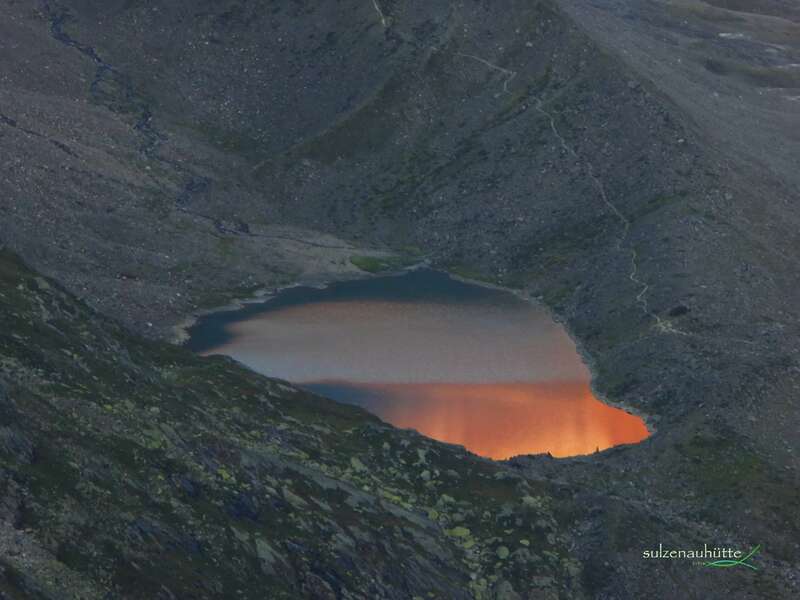 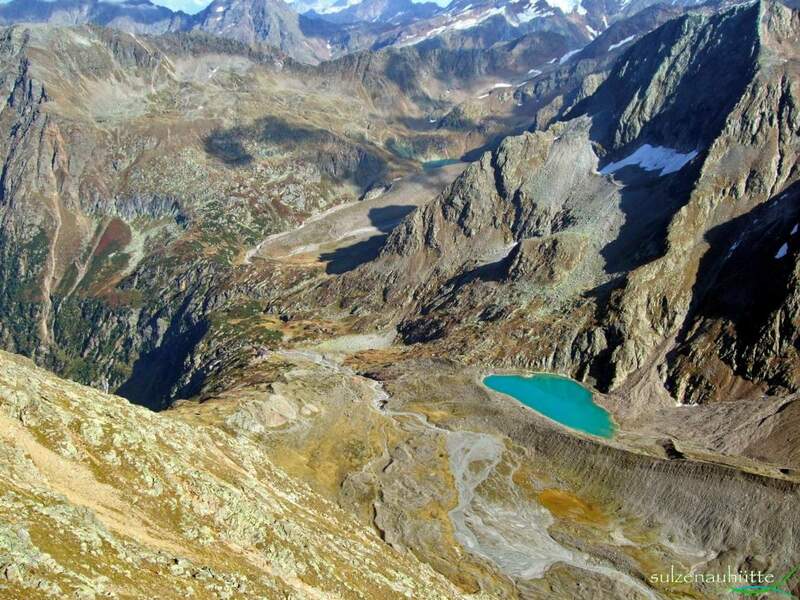 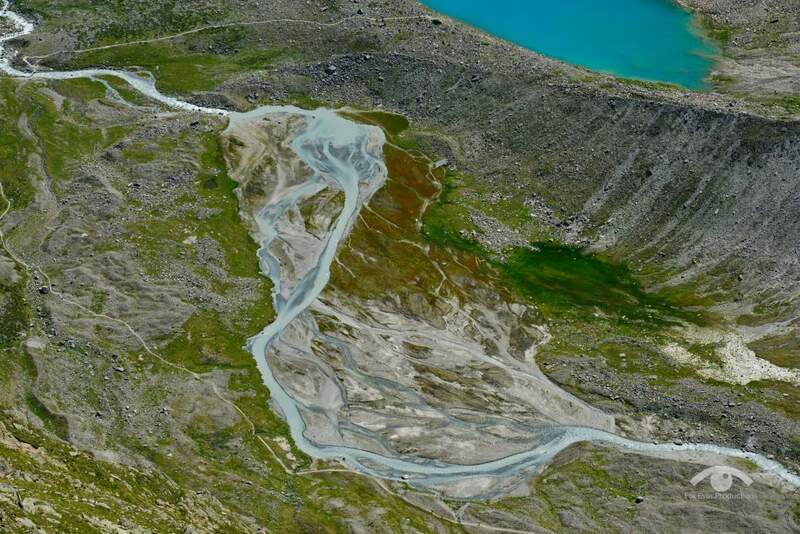 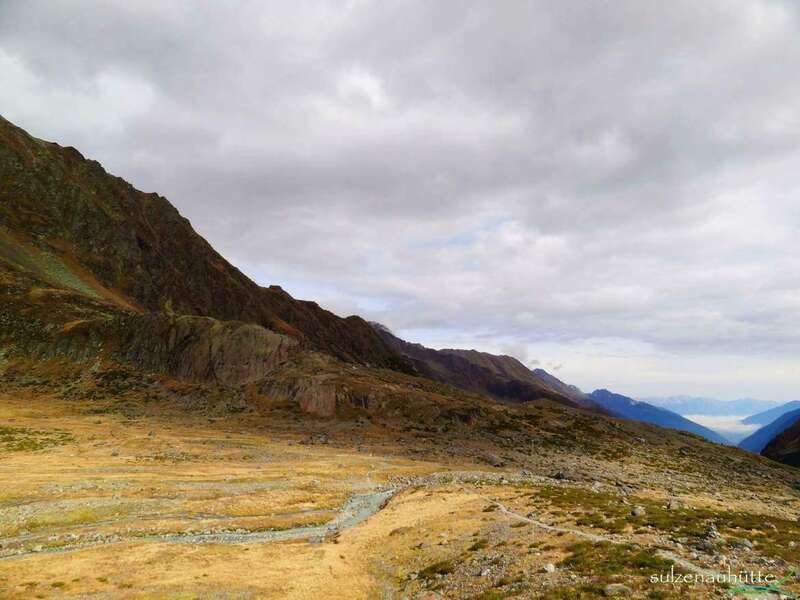 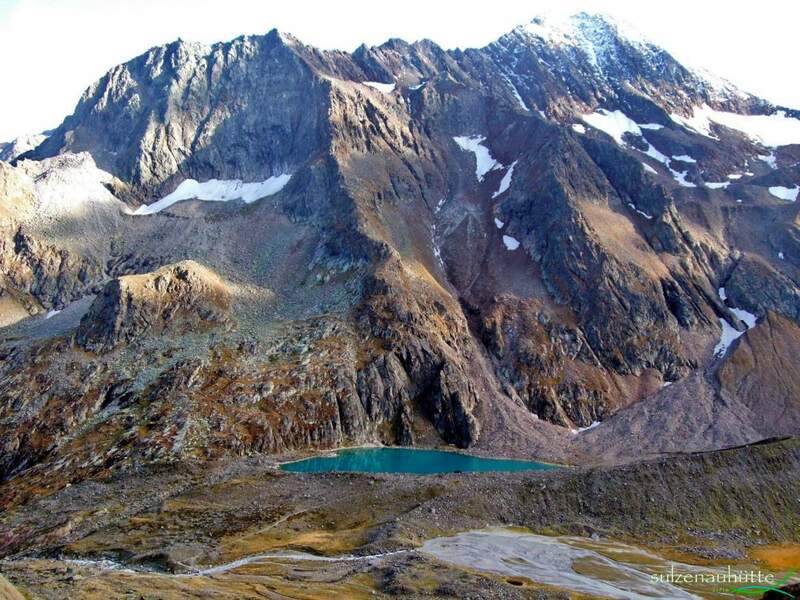 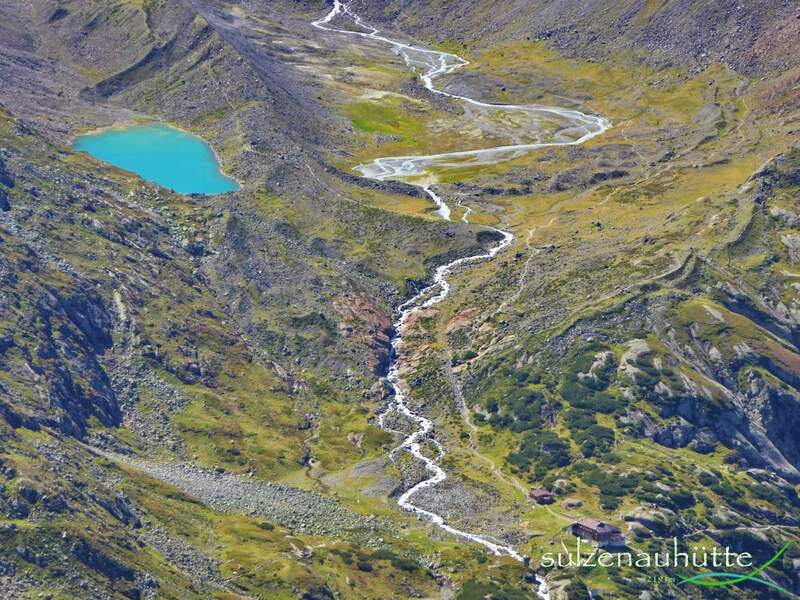 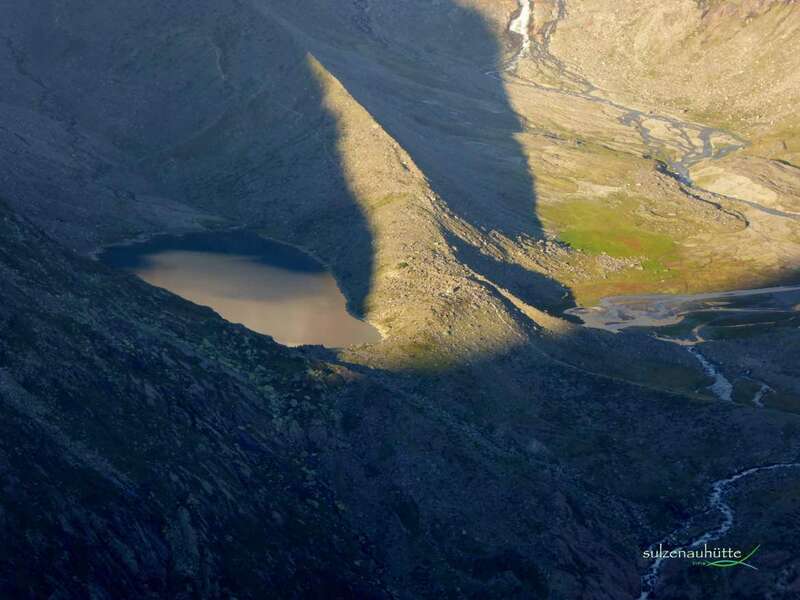 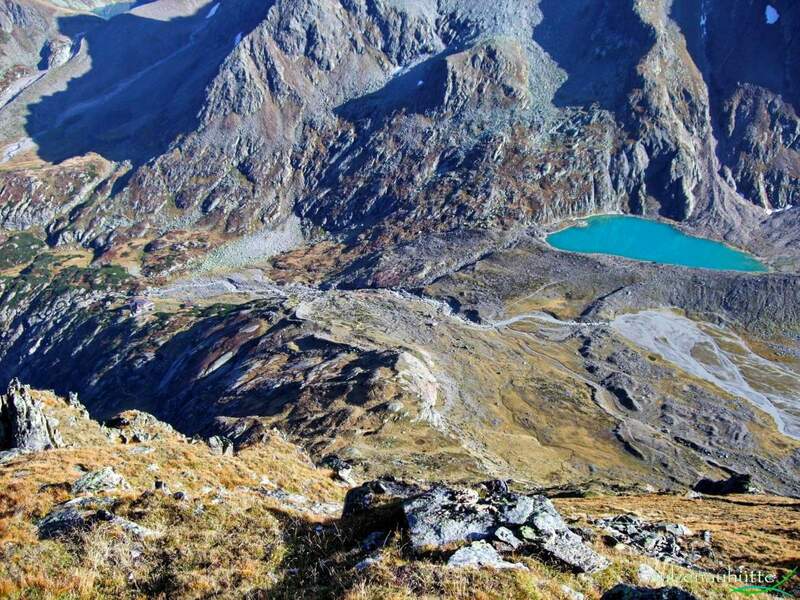 The blue Lake lays on the Stubai high trail, so when you hike along, come and visit it. 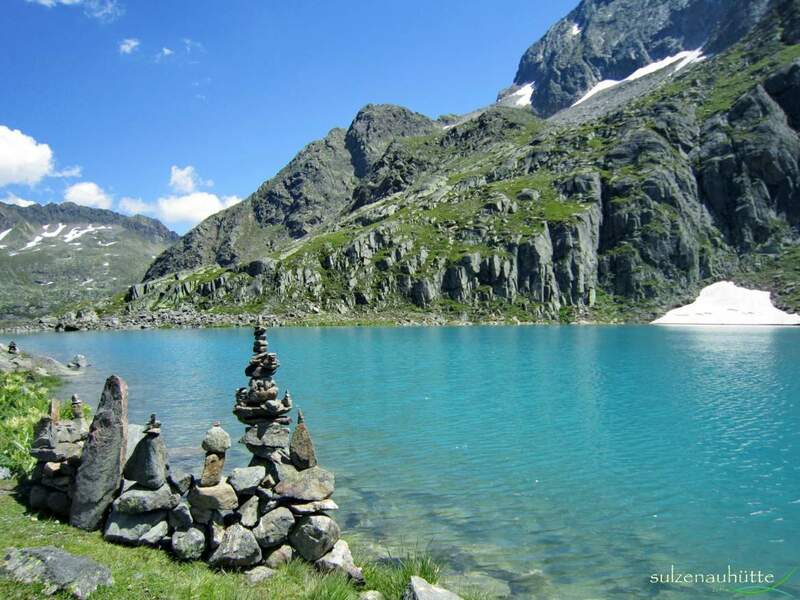 England has it’s Stonehenge, but we have our holy crain ground at the blue lake, come and see which one is more impressive!!! 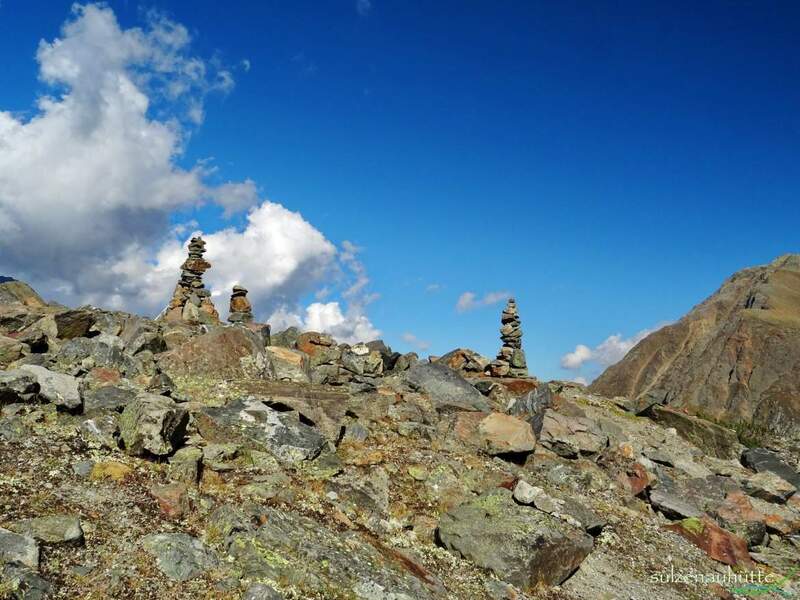 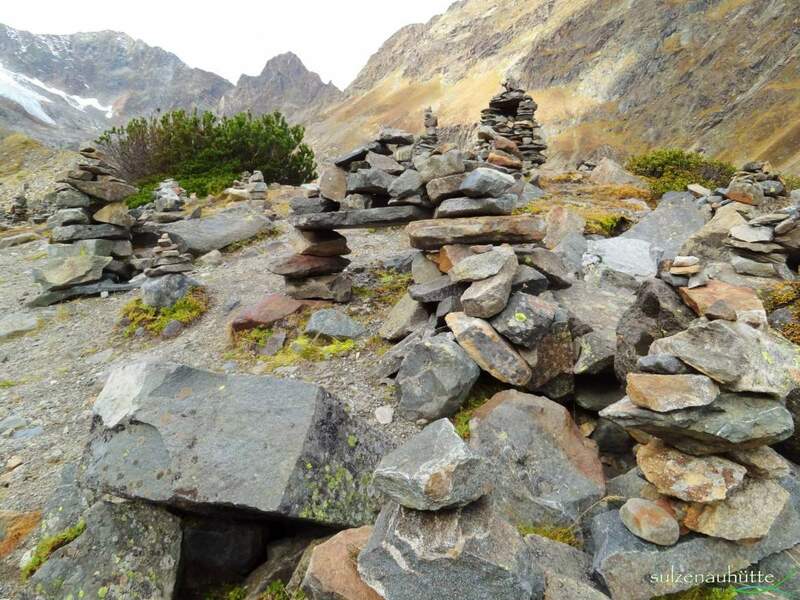 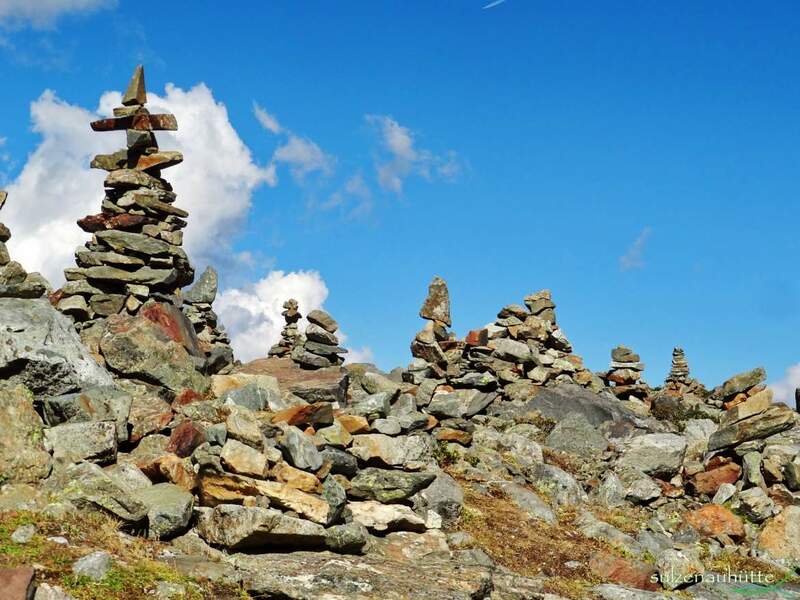 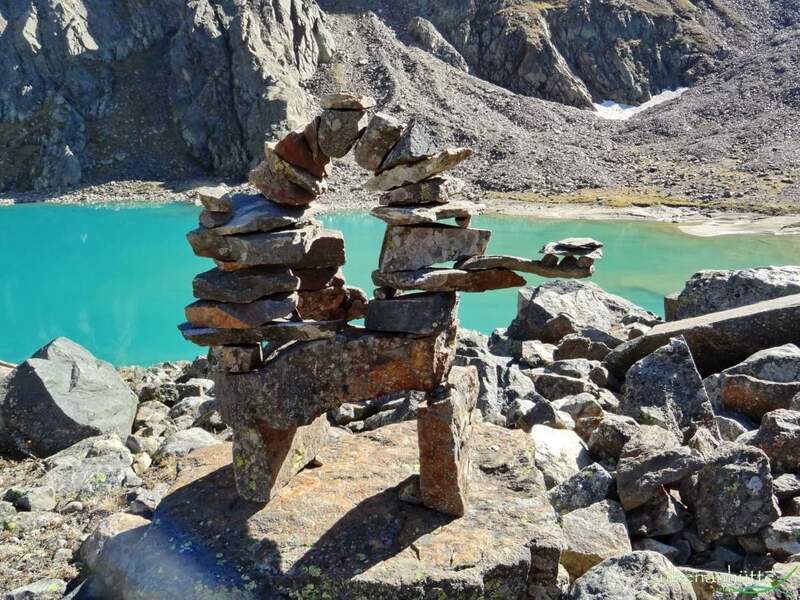 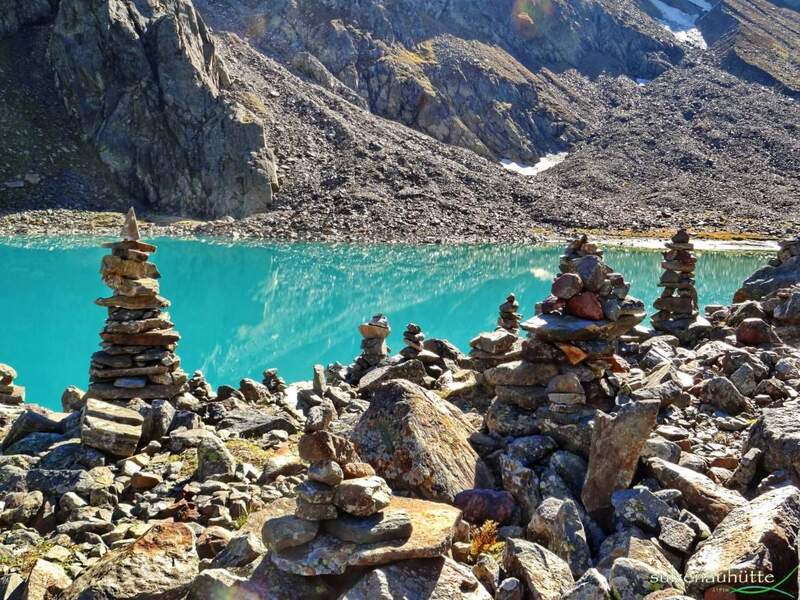 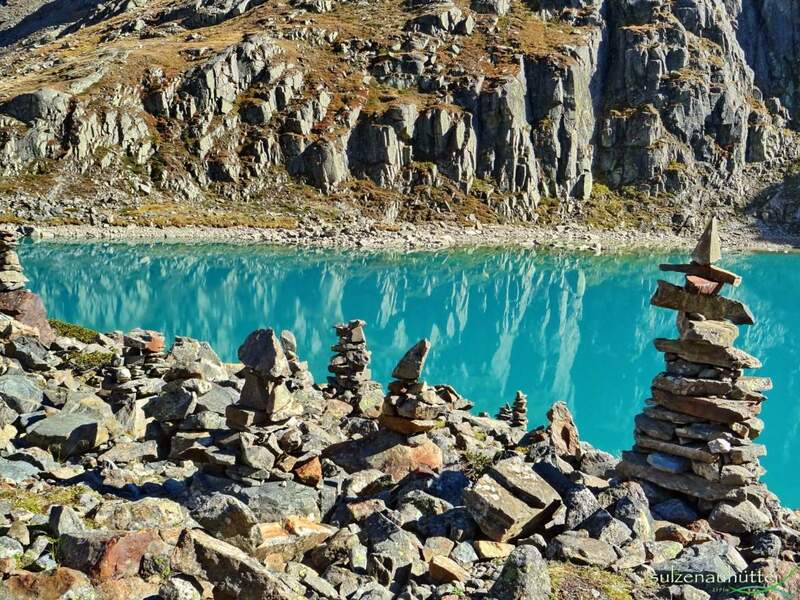 According to Wikipedia cairns are used as trail markers in many parts of the world and when you come and visit the blue lake you have the impression that we have collected them all! 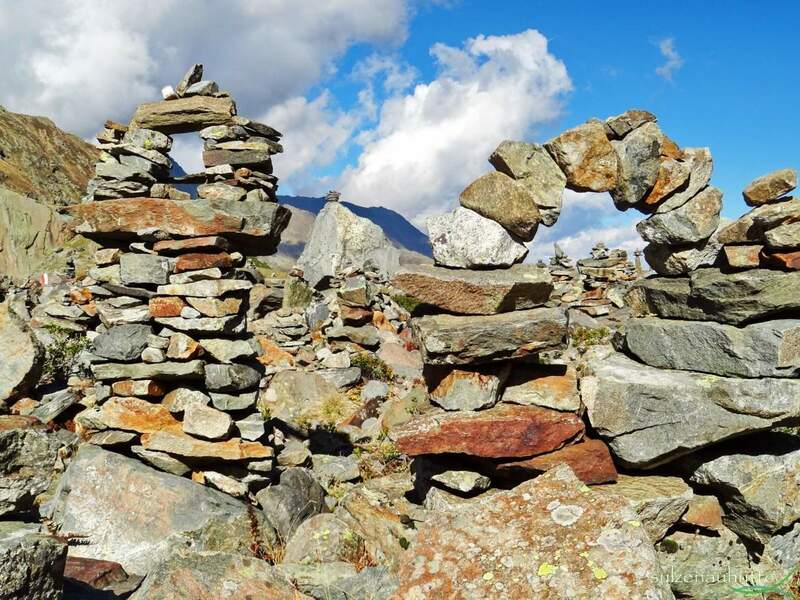 It’s absolutly worth seeing it – come and build yourself a monument.